There's a new traveling punk festival in town. 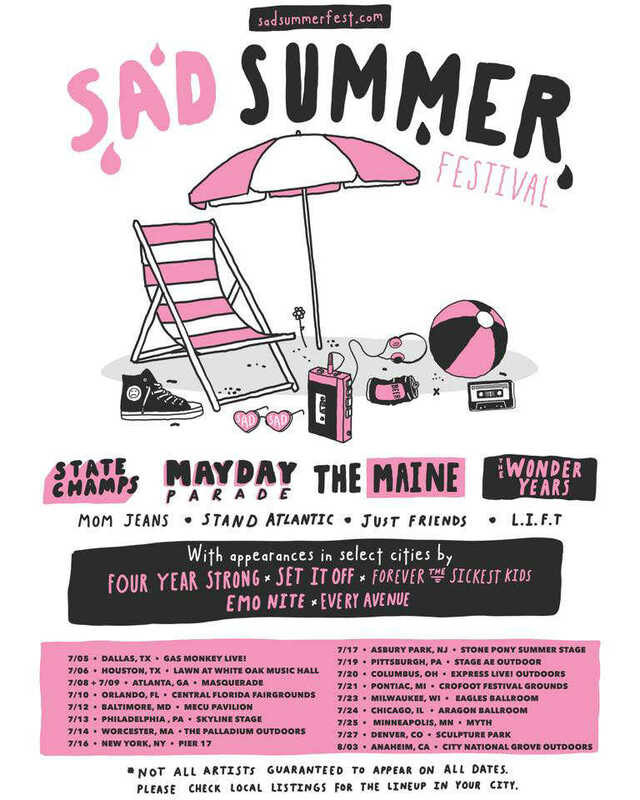 The cleverly titled "Sad Summer Festival" is set to hit 15+ cities this summer, featuring a rotating lineup of artists. The top bands featured on the tour will be State Champs, Mayday Parade, The Maine, The Wonder Years, Mom Jeans, Stand Atlantic, Just Friends, and L.I.F.T, with appearances in select cities by Four Year Strong, Set It Off, Forever The Sickest Kids, Emo Nite, or Every Avenue. In years past, these bands would have been on the Vans Warped Tour. However, the Warped Tour announced 2018 would be their last year before scheduling a handful of special shows in 2019 in honor of the traveling festival's 25th anniversary. 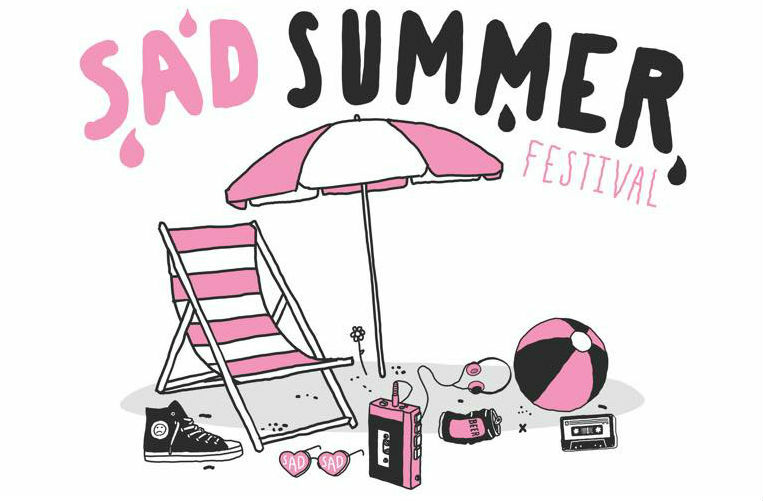 In its place, the Sad Summer Festival hopes to provide a similar outlet for up-and-coming bands that pop-punk and alt-rock fans won't want to miss. The newly announced concerts are scheduled to begin in July and extend into August. See the ticket links below for the specific lineup on each date. Sad Summer Festival at EXPRESS LIVE! When do Sad Summer Festival 2019 tour tickets go on sale and what is the presale code? The general public on-sale begins as early as March 22. Presales are currently underway for Artist, Chase and Citi cardmembers, Live Nation, and LN Mobile App. Local venues / radio presales will follow. The artist presale password is sad. Citi cardmembers can use the passcode 412800 and 541712 for the Chase presale, but you will need a Citi or Chase card to complete your purchase. The Live Nation / Ticketmaster presale password is MASHUP and the LN Mobile App code is COVERT. Keep in mind, each date is different and details are subject to change. Click through the individual concert links for more information about the show you're interested in. We recommend following the bands on social media, in addition to checking your local venue’s social media and email subscription service, to get the most up-to-date information.